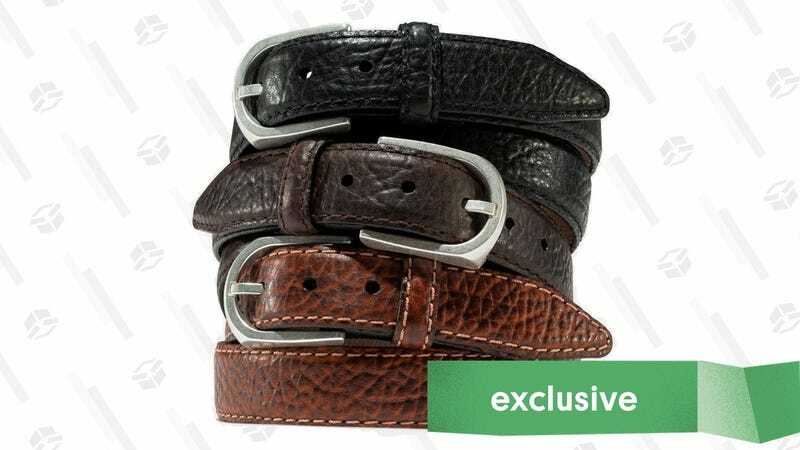 Buying a belt is where a lot of guys tend to uh, tighten their belts, and buy whatever’s cheapest, but a high quality belt is something that’ll last you for decades, and we’ve got an exclusive deal on a few great ones today. Vintage Bison has been turning out belts from high-end bison leather for over 50 years from the same factory in Corona, CA, and they all come with a lifetime guarantee if something ever goes wrong. All four styles look amazing, and with prices starting at $75 (after you take $20 off with promo code KINJA), they’re an affordable luxury that you’ll appreciate every time you put on a pair of pants.